A report on the final draft of the amendments, prepared by parliament’s Legislative and Constitutional Affairs Committee, will be debated ahead of next week’s parliamentary vote on amendments to the constitution. The report contains the final draft of the amended articles, together with remarks on the changes, either submitted in written form or during the series of consultative sessions held between 20 and 28 March. The commentary was compiled by a 13-member sub-committee. "It is important that ahead of the final vote in parliament next week MPs take note of all the remarks and comments made on each article. The Legislative and Constitutional Affairs Committee received no directions from anyone on how the changed articles should be drafted. And in presenting the final drafts all the comments and remarks we received will be appended to the relevant articles. It will be up to MPs whether or not they approve our text or change it during the debate." It is as yet unclear whether the amendments will allow President Abdel-Fattah El-Sisi to run for two additional terms of six years — remaining in post until 2034 — or extend his current term to 2024 instead of 2022 and then allow him to stand for a single six-year term, ending in 2030. 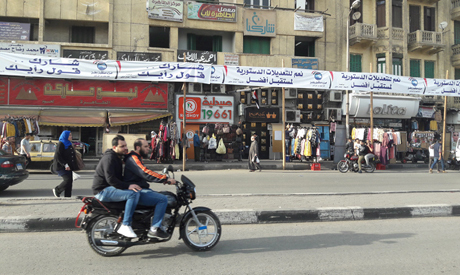 Sayed Abdel-Aal, appointed MP and Tagammu Party head, told the party’s mouthpiece Al-Ahali that he expects the final vote to be held on 17 April. The Tagammu has argued the transitional article should allow President El-Sisi’s current term be extended to six years and then allow a single additional six-year term rather than two. Should its recommendations not be incorporated in the final draft then Abdel-Aal says the party’s MPs will vote against the changes. In response, speaker Ali Abdel-Aal indicated that there are two points of view among MPs and political groups on the amendment of Article 140 and the related transitional article. "All I can say is that the two points of view on President El-Sisi's office will be taken into account and that the final draft will be presented to MPs when the final debate on the total amendments in parliament comes on 16 and 17 April," said Abdel-Aal.